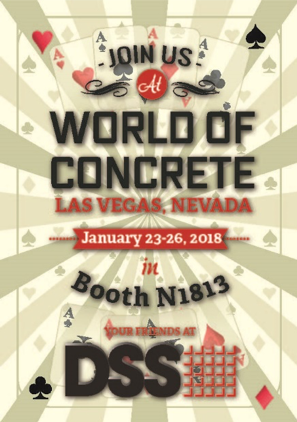 Winter 2018 – Come join DSS at the annual World of Concrete in Las Vegas from January 22nd – 25th, 2019! We’ll be in booth #C3401, and look forward to seeing everyone there! Winter 2018 – DSS has added 10,000 sq. ft. of space to our Bakersfield, CA office in mid-2018 due to strong growth in serving the West Coast market. We’re adding another 10,000 sq. ft. in 2019, for a total of 45,000 sq. ft. owing to our 2019 sales forecast to continue to expand our presence in this market. 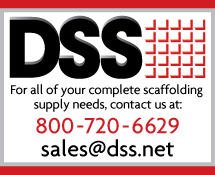 Winter 2018 – DSS is planning on opening a branch in Maryland in the early 2nd quarter of 2019. The new location will service territory from Chicago to Maine to Savannah, with a 55,000 sq. ft. warehouse. 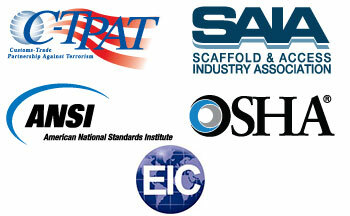 Ringlock, cuplock, tube & clamp, frame & brace, shoring, and pick boards will be stocked. Visit DSS at the 2018 SAIA Annual Convention & Expo! July 2018 – Join DSS at the 2018 SAIA Annual Convention & Expo, July 9th – 11th, in Chicago! DSS has been a presence at this annual event for over a decade. Our exceptional sales team will be there in full force, so stop by Booth 400 and meet our team! The newest member of the DSS Toe Board System is the adjustable toe board, GRATBxx. This universal toe board is designed to work with all types of industrial and commercial-supported scaffold systems. 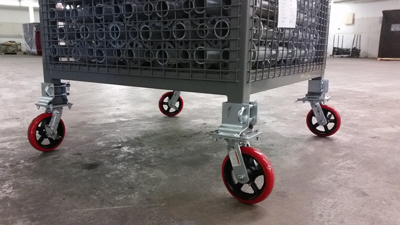 The DSS design provides more flexibility and adjustment than traditional wood or steel toe boards with less pieces required. 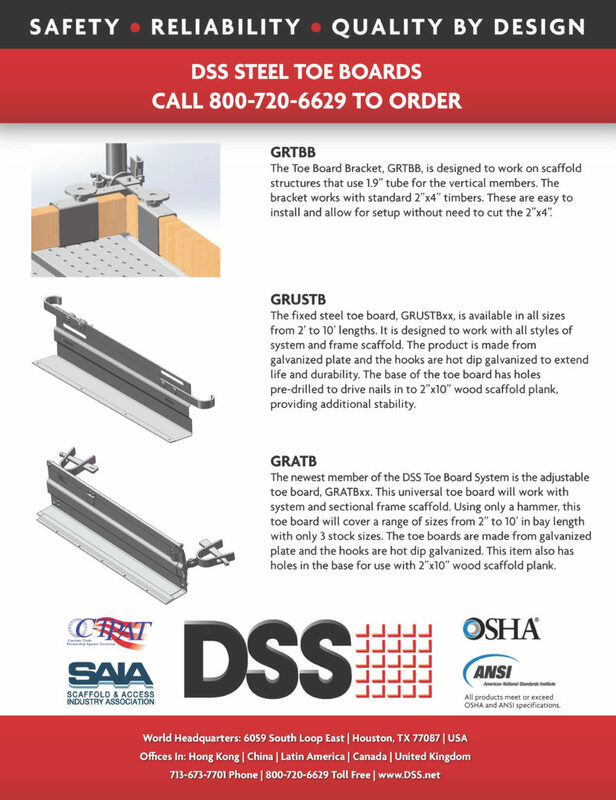 GRATBxx is a toe board, designed to prevent tools and small objects from rolling or accidentally being kicked off a scaffold platform. The short video below demonstrates how our toe board is used on scaffold systems. For more information, or to order this part, please contact our Sales Team! Visit DSS at the 2018 Expo Industrial! Spring 2018 – Join DSS at the 2018 Expo Industrial, May 16th – 18th, in Cali, Colombia! This is DSS’s first appearance, so come out and meet Ing. Francisco Vasquez, our Colombian distributor! Francisco will be more than happy to introduce you to our BV Certified Systems Scaffold, Speed Ring. We look forward to visiting with you! 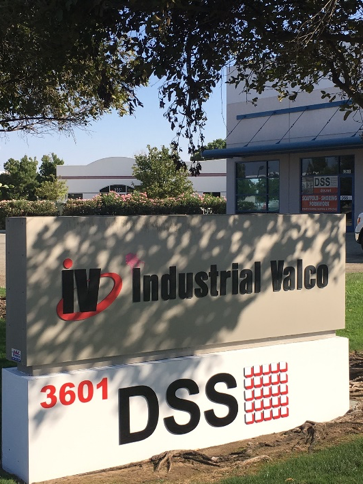 DSS’s newest office in Bakersfield, California, continues to have an active presence in the business community! 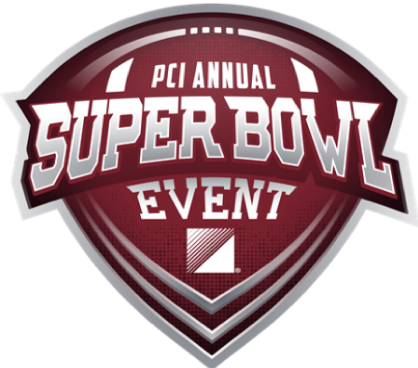 Next month during Super Bowl Weekend, DSS Bakersfield is a sponsor for the annual PCI Super Bowl Event at the Desert Willow Golf Resort in Palm Desert, California, hosted by Performance Contracting Group (PCG). DSS Bakersfield is also a member of the Kern County Hispanic Chamber of Commerce, where we were a proud sponsor of their 13th Annual Tee It Up! Golf Tournament. Visit DSS at the 2018 World of Concrete! Join DSS at the 2018 World of Concrete, January 23rd – 26th , in Las Vegas! DSS has been a presence at this annual event for over a decade. 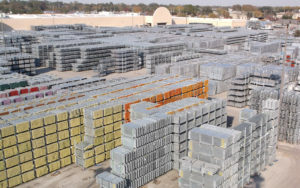 We are showcasing our ring lock and cup lock scaffold lines; our aluminum and steel shoring products, post shores, and an assortment of frame and brace items. Stop by Booth N1813 and meet our team! DSS, in conjunction with SAIA Committee Week, is a hosting an open house February 20th, 2018! Guests will tour DSS’s updated showroom, and be treated to entertainment and tasty Texas fare during the event. We hope to see you there! Contact Chris Moody (link to ‘Contact Us’ page) for for more details! DSS is now stocking heavy duty post shores in all our warehouse locations (Houston, TX; Bakersfield, CA; and Edmonton, AB). Like our shores, the DSS u-heads have a hot-dipped galvanized finish, promoting long life and durability of the product. DSS is proud to announce our presence on the West Coast! Our newest location in Bakersfield, CA, contains 20,000 square feet of warehouse space, 5,000 square feet of yard space with 2.5 acres ready for expansion. 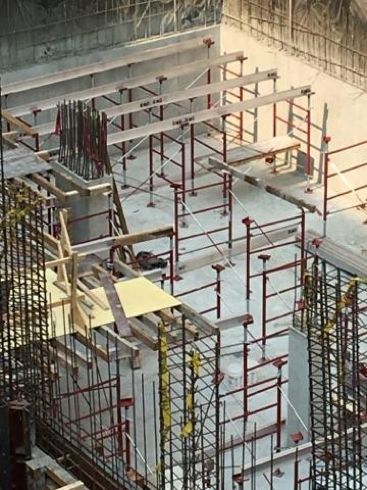 We are stocking Ringlock & Cuplock system scaffold, shoring frame systems & Post Shores, Frame Scaffold and Accessories, Tube/Clamp and Steel/Aluminum/Wood Plank. Call us for more information! In response to the needs of moving equipment safely and efficiently through a jobsite, DSS recently introduced a new product designed to meet the demands of jobsite material handling. Direct Staging and Seating provided fencing, staging and bleacher set-ups for Rice University’s and Santa Fe High School’s graduation ceremonies.